To be able to offer a high-quality product of engine tuning and to be independent of subcontractors was motivation enough apart from the repair of individual construction units, also to deal with the development and manufacturing of camshafts. 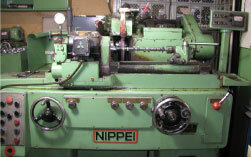 We bought the first camshaft grinding machine from Japan at the beginning of the 90`s. 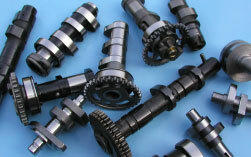 In the course of the time the camshaft manufacturing has developed into a main branch of our enterprise. For many years we are in the position to offer racing profiles for almost any motorcycle. In the year 1997 we looked for a well sounding proper name for the camshafts developed by us. On suggestion of a customer the name `` Tornado Racing Cams `` arose. We have secured this name as a registered trade mark and are selling our camshafts successfully under this name. 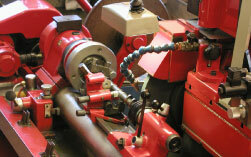 1998 Purchase of a second camshaft grinding machine of the brand ``Serdi``. In connection with our CNC machines we are able to manufacture small series. Many national and international tuners and top drivers trust in our tornado camshafts. Numerous champion titles and word champion titles are confirming the performance and quality of our execution.